In our previous post, we covered the historical achievements of CGS in honor of its 35th anniversary this month. 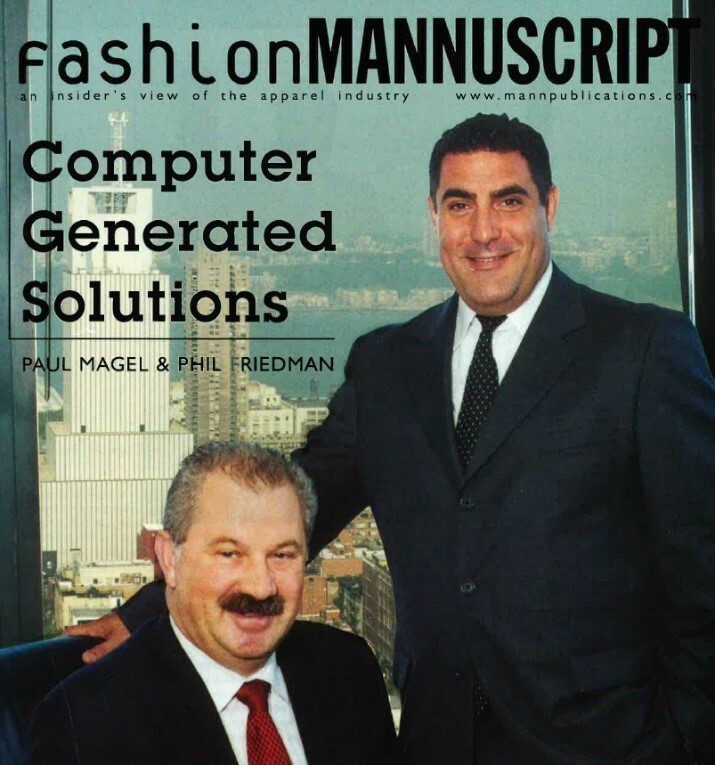 This week we’ll take a look at the CGS Application Solutions division, or as President and CEO Phil Friedman calls it, “The crown jewel of CGS.” Before starting his own company, Friedman was employed at garment manufacturer Charles Greenberg & Sons. During that time, he installed one of the fashion industry’s first data-management systems. He soon realized that there was a high demand for IT consulting in this field. 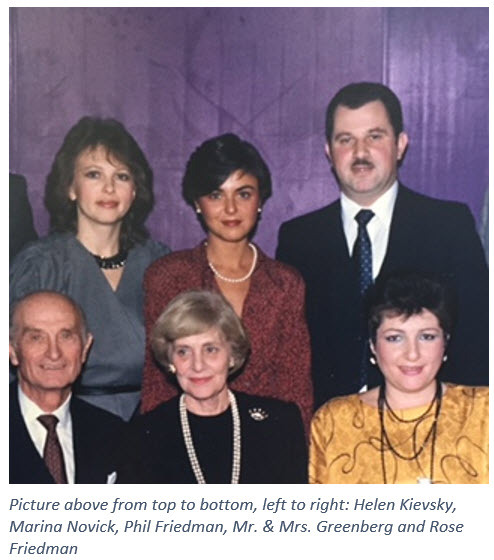 In April 1984, with the blessing of Charles Greenberg, CGS opened its doors and Friedman’s first client became Charles Greenberg & Sons (Note the initials). The first few years at CGS were solely focused on reselling and implementing the ACS Optima product, which was created by a company based out of California as one of the first online systems in the apparel industry. Phil was the face of the company bringing in business with his connections, Novick and her teammates – consisting of programmers and one operator - implemented the software. The company grew very rapidly during the early ‘90s after Friedman hired a sales team and additional team members to bring in and implement new business. “My ambition was always to build a large company,” Friedman recalls. One of CGS’s very first clients was Members Only, a brand of clothing that became popular in the 1980s with its line of jackets. CGS truly gained momentum with its second client: Calvin Klein. This was one of the team’s most challenging projects filled with long hours and tight turnaround times. Once the client was satisfied, CGS’s reputation spoke for itself and the business grew. By 1993, CGS added Polo Ralph Lauren to its growing list of clients. Two weeks later, Phil put in an offer for ACS. Since the acquisition of ACS and its Optima product in late 1994 as well as Innovant’s Virtual Showroom™ in 1999, CGS led the way in the marketing and ongoing development of products specifically designed for the Apparel Footwear and Accessories (APA) industry. Since the acquisition, ACS Optima became a CGS product and the company began to grow its Enterprise Resource Planning (ERP) platform (or software). Over the next ten years, CGS would invest a lot of R&D into the BlueCherry offering while growing the team and the expertise. In 2003, the company bought a small application development company in India to augment the U.S. development team. The India development team now consists of 165 employees. In 2009, the team focused on completely re-architecting and modernizing the product from the inside out, leading to the Infinity version of BlueCherry. The growth strategy was to stay focused on the industry we know while increasing our value proposition in the marketplace. Rather than sell someone else’s warehouse system, CGS built its own. By acquiring companies along the way, CGS was able to grow and build an industry-leading practice to support apparel brands. Along the way, CGS bolstered its software offering by purchasing Leadtec in 2002 and Threadvine in 2012. Leadtec and its Satellite Plus product gave CGS a deeper international presence across the globe where apparel manufacturing was migrating at the time. CGS also worked with companies based in China, Singapore and Hong Kong. With CGS’s expansion into Europe, the BlueCherry team began working with Italian and British branches of U.S.-based companies. Leadtec is now known as BlueCherry Shop Floor Control and Threadvine is BlueCherry B2B. As a result of the acquisitions and Magel’s leadership in the Application Solutions Division, BlueCherry grew from a single order-to-cash system to a complete end-to-end supply chain solution, encompassing ERP, PLM, planning, manufacturing, logistics, B2B eCommerce, shop floor control, warehousing and collaborative supply chain management. Through a comprehensive range of fully integrated software modules, it enabled retailers, brands, manufacturers and suppliers to streamline processes, gain visibility, increase productivity and enhance competitiveness. Most importantly, this “intelligent” solution, as Magel refers to it, was so successful because it gave customers the tools to make their businesses more profitable.